Home > News > Deck Armour vs. Felt Paper: Which Is Better For Your Roof? 23 Feb Deck Armour vs. Felt Paper: Which Is Better For Your Roof? Previously we have written about some exciting roofing solutions and systems that are still a couple of decades away from ubiquity. But what about the technological advancements that are helping homeowners in the here and now? In tonight’s Underlayment Royal Rumble may I present to you: Deck Armour vs. Felt Paper! To be honest, Deck Armour vs. Felt Paper is not really much of a contest. Deck Armour is superior in just about every conceivable way. 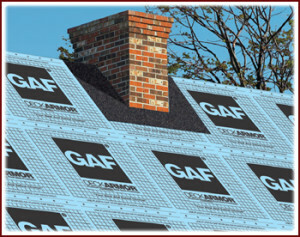 It is 600% stronger and more tear resistant than felt paper, ⅓ of the weight, does not absorb water which means that it does not shrivel and buckle over time which are major flaws in felt paper and it allows the maximum amount of breathability for your roof which helps reduce thermal shock (the number one cause of deterioration in residential roofing today). 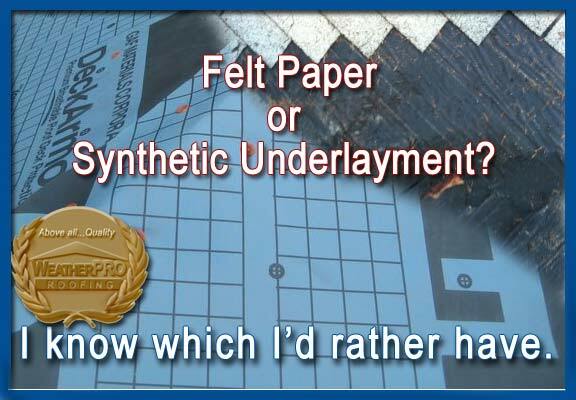 Because conventional felt paper absorbs moisture so easily you are not only looking at substantially greater deterioration over time, but also problems such as mold and mildew which will essentially remain trapped in your attic creating an increasingly toxic environment. There is one reason that you will hear contractors give as to why they come back time and time again recommending Deck Armour. Namely: breathability. It’s a nice buzzword but what does it really mean? In our blog on making your roof last longer we mentioned that the number one cause for deterioration today is thermal shock. Simply put, wild temperature swings in your attic make your roof expand and contract. If you can imagine bending a piece of metal over and over again until it snaps you can visualize the effects of thermal shock on your roof. Deck Armour is literally the only product that allows your entire underlayment to work like a ventilation system rather than a greenhouse. So unlike felt paper and other synthetic knockoffs which create extremely pressurized conditions in your attic, Deck Armour is better able to diffuse that pressure and create a more stable environment for your roof system. Another bonus for contractors is that Deck Armour is more slip resistant than any other product out there making it the safest product on the market with the highest level of walkability. I was surprised the first time that I learned that it actually doesn’t lose ANY of it’s slip resistance in the rain! The exact manufacturing reasons behind this are above my pay grade, but I can personally attest to the walkability level this product has. The results of the Deck Armour vs. Felt Paper debate are in and the results are clear: Deck Armour wins by a landslide! Hi Andrew, thanks for the comment! Maybe I could have been clearer in the article, but you’re right to an extent. Underlayment has no effect on the ventilation INSIDE the attic. However, by keeping the shingles elevated up off the roof deck, there is a more regulated flow between the shingles and the roof deck, helping your shingles maintain a more stable temperature. But you are right that a mold problem is definitely not a shingling/underlayment problem! What a foolish blog. Just in the middle of a roofing job where the shingles were installed in 1986. 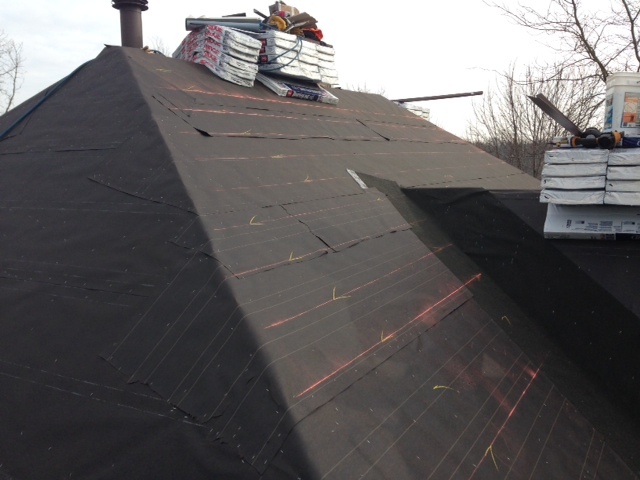 The shingles were beginning to show their age, but the 15 pound tar paper underneath looks like new. All that talk about thermal shock and “bending a piece of metal over and over again until it snaps” is pure drivel. I totally agree with your comments re thermal shock – pressurized conditions in your attic, diffusing pressure – what in the world does any of this mean ?!! Do I need a ceiling fan with the deck armour? Hi there, thanks for the question! No, installing Deck Armour has no impact on needing to increase your ventilation in anyway, the only factor that needs to be considered is the square footage of your roof (1 vent for every 300 square feet of roof) which can be achieved primarily through box vents or ridge venting and then combining that with making sure that your intake is sufficient (usually achieved through the soffits, but there are rooftop applications that can work as well).